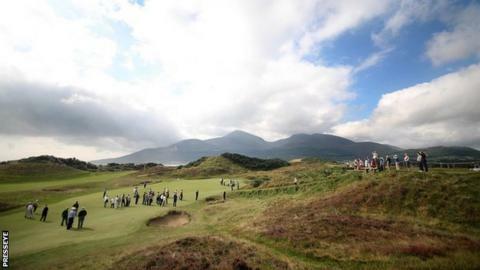 Royal County Down has been voted the world's top golf course in the annual rankings of US magazine Golf Digest. The Northern Ireland venue replaces existing number one New Jersey's Pine Valley, which drops to third, with Augusta National ranked second. Cypress Point in California, Royal Dornoch in Scotland and Royal Melbourne in Australia complete the top six. St Andrews and Muirfield are ranked seventh and eighth with Portmarnock and Royal Portrush in 25th and 27th spots. Lahinch, in 65th position, is the only other Irish course in the Golf Digest top 100. Royal County Down moves up from fourth position in last year's list and it's likely that the profile generated by its staging of the Irish Open last May played a role in its ascent to the number one spot. Over 1,800 golf course evaluation panellists took part in the poll.